As a person’s Parkinson’s disease progresses, simple everyday tasks such as washing, grooming and going to the bathroom can become difficult due to typical Parkinson’s symptoms such as tremors or rigidity. Those living with the disease will be keen to do as much for themselves as possible and retain as much of their independence as they can, particularly when it comes to personal hygiene. 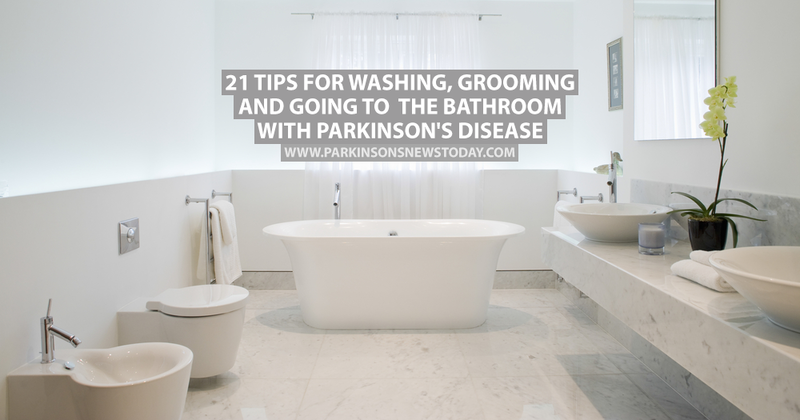 We’ve put together a list of handy tips to help people living with Parkinson’s continue to wash, groom and go to the bathroom easily and safely using information from the National Parkinsons Foundation. Installing at least two fitted handrails near the bath or shower will allow the patient to grab hold of something safe and secure while getting in and out of the bath or shower. These should be professionally fitted if possible to ensure they are strong enough to support the patient’s weight. A chair or bench in the shower or bathtub will help those who have trouble balancing while standing. A handheld showerhead is best used in these circumstances. Make sure the water isn’t too hot. Place non-slip rubber mats in the bath tub and shower cubicle. Bath rugs and mats should have a rubber backing so they don’t slide across tiles. Liquid soap in a pump dispenser is safer to use than hard bars of soap which can slip out of hands and leave slippery residue underfoot. Install a shelf in the shower or bath area that is between knee and shoulder height for easy access to soap, shampoo, and other essential washing items. 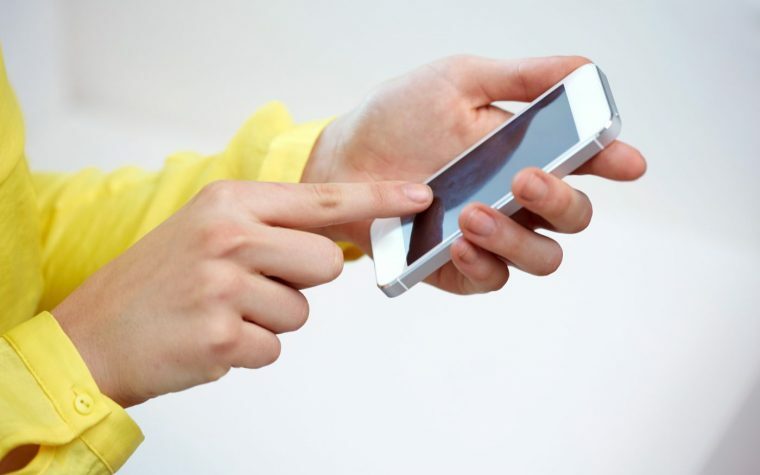 Advise the patient to always take their cell phone or medical alert device into the bathroom if they’re home alone. MORE: Lifestyle changes that can improve quality of life for people with Parkinson’s disease. Patients should sit down when brushing their teeth, shaving, applying makeup or drying their hair so they don’t have to worry about balance. It’s important to support the upper body by resting elbows on the sink or vanity when grooming. Electric devices are often better and safer to use than non-electric ones, such as toothbrushes and shavers. Hands-free hair dryers can be mounted on a vanity unit. MORE: 10 quotes to help you when you’re feeling down. Toilet frames or grab bars will help patients get up off the toilet safely. Introduce a regular schedule for visiting the bathroom, such as every two hours or before meals. Avoid drinking caffeinated drinks which may cause more frequent bathroom visits. Try to avoid fluids two hours before bed. Patients should use a nightlight or keep the bathroom light on during the night so they can make their way to the bathroom safely. It’s advised that those with Parkinson’s attempt to fully empty their bladder each time they visit the bathroom. If patients become prone to bathroom accidents, they should try using incontinence products such as pads or padded underwear. Patients should seek medical advice if they experience burning or a sudden increase in frequency or urgency to urinate as this may indicate a urinary tract infection. A urologist can help if patients are experiencing problems with incontinence. Tagged grooming and Parkinson's, Living with Parkinson's disease, Parkinson's and incontinence, personal hygiene, washing and Parkinson's. 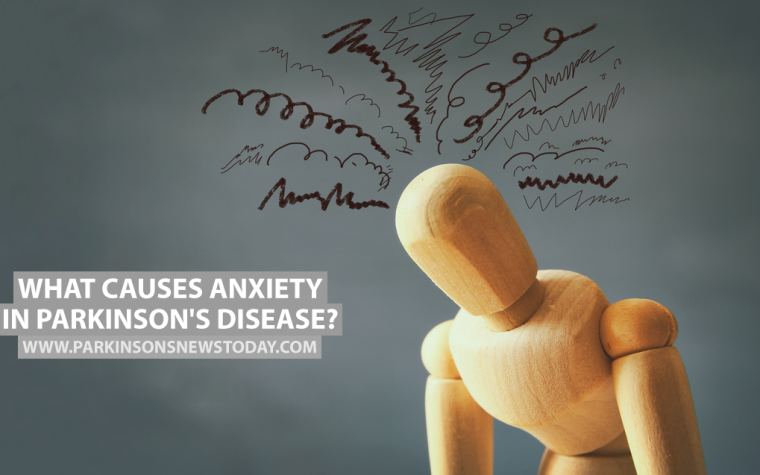 Previous: What Causes Anxiety in Parkinson’s Disease?